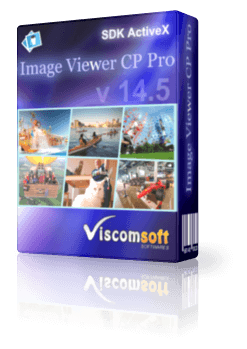 Image Viewer SDK for 32 bit, 64 bit MS Access 2016, VB.NET, C#, Delphi, VB6, VFP. 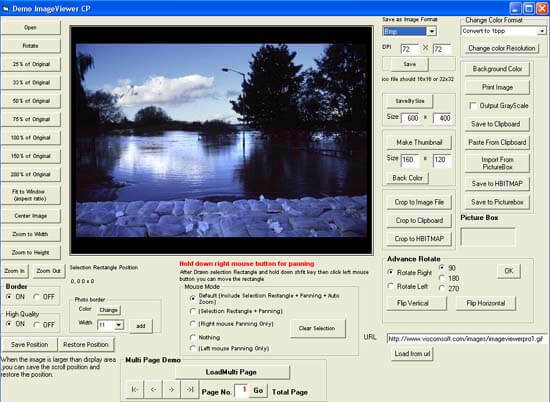 View and printing Fax document, BMP, MNG, JNG, Raw image (cr2, nef , crw, mrw, raf, erf, 3fr, dcr, raw, dng, pef, x3f, arw, sr2, mef, prf), GIF, ICO, JPEG, JPEG 2000, PCX, PNG, PSD, TIFF, WMF, WBMP, TGA, PGX, RAS, PNM image files. Powerful zoom in, zoom out, panning, auto zoom and auto scrolling when drawing selection rectangle..
Support rotate Multipage TIFF file. need add-ons OCR Module Optical Character Recognition - OCR BMP, GIF, ICO, JPEG, JPEG 2000, PCX, PNG, PSD, TIF, WMF, WBMP, TGA, PGX, RAS, PNM to memory text or text file. Support Capture image, multi-page from URL. Resize image resolution to specific size and export to BMP, GIF, ICO, JP2, JPC, JPEG, PCX,PGX, PNG, PNM, RAS, TGA, TIF, WBMP file formats. Has ability to add text on image when printing. added C# 2015, VB.NET 2015 x64 samples.